Welcome to Strawberry Plants .org, the one and only source you’ll ever need for information about strawberry plants! You have likely eaten your fair share of those delightful red berries, and we hope to encourage you to learn as much as you can about the flavorful fruits and the strawberry plants that produce them. We exist to spread excitement about strawberries and hope that you will benefit from the information contained here. Whether you want information on growing strawberries, eating strawberries, scientific information on the actual strawberry plants or strawberry varieties, or even information about where you can purchase strawberry plants or strawberry seeds, you will find help on Strawberry Plants .org. This entire site is dedicated exclusively to all things related to the strawberry plant. You can start by selecting a category from the top, using the search or by taking a look at our most popular pages listed below. 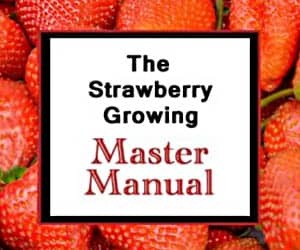 For fantastic strawberry resources, and to support this site’s mission, be sure to check out the Strawberry Growing Master Manual! Growing Strawberries – a comprehensive guide to growing your own strawberries. Buy Strawberry Plants (by variety) – a near-comprehensive directory of online retailers for strawberries, organized by variety. Strawberry Plants for Sale (by nursery) – a near-comprehensive directory of nurseries offering mail-order plants, with their offerings listed. Buy Strawberry Seeds (by variety) – a near-comprehensive directory of online retailers for strawberry seeds, organized by variety. Strawberry Plant – an encyclopedic resource for scientific and historical information about the humble strawberry plant. 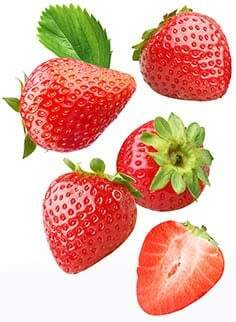 Strawberry Seeds – information about saving seeds, germinating seeds, and general strawberry seed information. Strawberry Plants Library – a listing of other helpful strawberry resources for learning about all aspects of strawberries and care. Pick Your Own Strawberries – a directory of pick-your-own strawberry locations in all 50 states. Strawberry Picking – a guide for picking strawberries, including etiquette and other considerations. Strawberry Varieties – a detailed discussion of the different types of strawberries, as well as a sortable list of cultivars. Strawberry FAQ – a question and answer series containing actual user-submitted questions and their answers. Strawberry Festivals – a directory of happy-time strawberry festivals across the country.